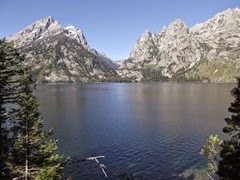 The Grand Teton National Park Foundation has announced that AT&T has recently awarded them with a $250,000 contribution toward Inspiring Journeys: A Campaign for Jenny Lake, a comprehensive restoration of the park’s most popular destination, in honor of the National Park Service centennial in 2016. The contribution will be used to create technological tools that will advance traditional interpretive techniques in the soon-to-be renovated plaza at South Jenny Lake. This technology will enrich the visitor experience by greatly expanding interpretive offerings. The Foundation’s Inspiring Journeys campaign is focused on creating a cohesive, durable, and timeless complex of trails and visitor facilities at one of Grand Teton’s most visited destinations. As part of the campaign, the Foundation will expand offerings in the current visitor plaza to include a comprehensive interpretive component. Through AT&T’s support, the Foundation will design and develop a new digital guide as an integrated package of digital and wireless resources available to visitors. While the idea is in a conceptual phase now, the Foundation envisions a suite of apps and interactive digital resources such as flora/fauna guides and walking tours that make use of augmented reality. “We’re excited by the introduction of technology to the project,” says Leslie Mattson, president of Grand Teton National Park Foundation. 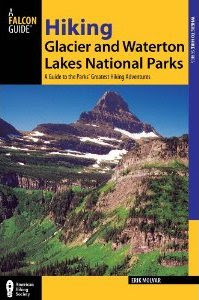 “This digital guide will greatly enhance the visitor experience by delivering a wealth of educational and interactive material to the people who visit Jenny Lake.” By sharing technology-focused educational content at the interpretive plaza, the park will augment traditional waysides and gain richer, more complete interpretive information, providing a well-rounded experience for everyone including those with limited time or ability. The Foundation and the park see this project as an opportunity to use technology to advance visitor experiences and rethink traditional interpretive techniques widely used by Grand Teton and other national parks. Currently, there is very little information specific to Jenny Lake on-site beyond a few maps and details ranger share verbally. Expanding educational content will transform a visitor’s time at Jenny Lake into an informative and enjoyable one. The guide will deliver a large volume of content and interactivity that will feel modern, relevant, and appealing to a younger audience. With one million visitors exploring the Jenny Lake area each year, the Foundation believes technology is the key to reaching greater numbers of people with quality content and providing a wide variety of mechanisms for learning. AT&T’s support is a critical piece to this puzzle and the Foundation looks forward to collaborating with the organization to make these ideas a reality. Inspiring Journeys: A Campaign for Jenny Lake is a $16.4 million public-private collaboration that will transform Jenny Lake’s trails, bridges, key destinations, and visitor complex. 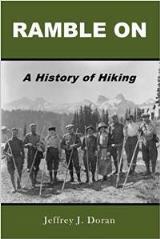 The much needed upgrades will improve the experience of hikers as they explore Hidden Falls, Inspiration Point, Cascade Canyon, as well as the loop trail around Jenny Lake. Additionally, the project will celebrate the 100th anniversary of the National Park Service and create an inviting trail system and captivating experience for the 21st century visitor. For more information on the project, please visit the Grand Teton National Park Foundation website.